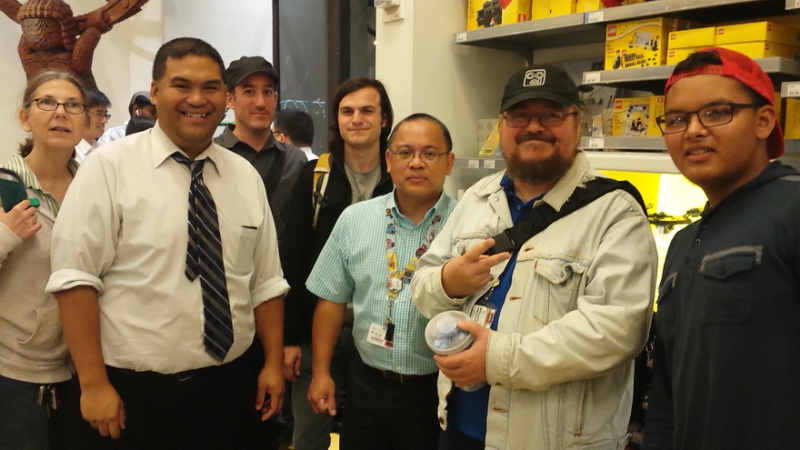 It was a quick conference of AFOLs to be sure, but hopefully worth the wait as Charles Dunlap (r.) from the Hawaii LUG stopped by the LEGO Brand Retail store at Rockefeller Center last week. 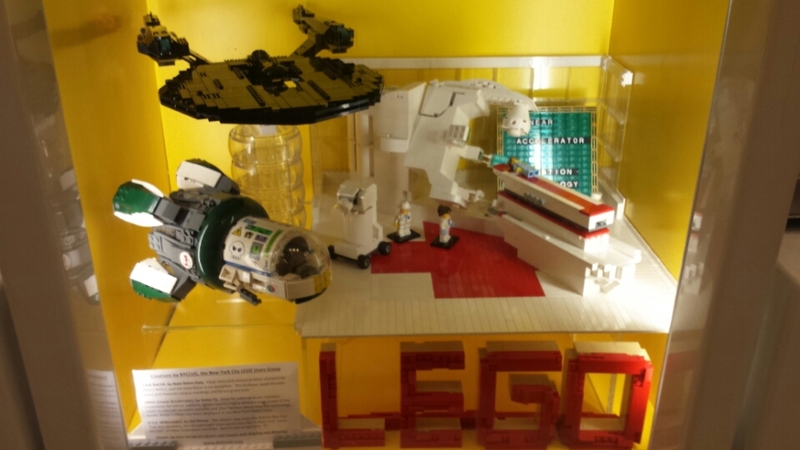 There, he met with NYCLUG members Lyn, Sid, Jonathan, Nathaniel, Victor and Donald as they installed their latest Community window of MOCs, comprising Sid’s U.S.S. Vengeance from the movie Star Trek Into Darkness, Nathaniel’s superb Gaia Racer, and Victor’s incredibly detailed medical scanner.